The Death of Crazy Horse - A Tragic Episode in Lakota History, compiled and edited by Richard G. Hardorff. (University of Nebraska Press, 288 pp., paperback). On May 7, 1877, less than a year after his overwhelming victory at Little Big Horn, Crazy Horse, the charismatic Oglala Sioux whose name had become the epitome of Indian resistance to white encroachment, surrendered at Camp Robinson, Nebraska Territory. A young man of slight build and quiet ways dramatically at odds with his extraordinary influence and statue, he was viewed by the military as a potential civil leader of all Sioux. 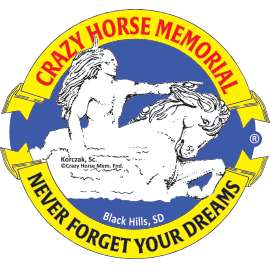 What happened between May 15, 1977, when, anticipating a visit to the president in Washington, Crazy Horse was sworn in as a non-commissioned officer in the U.S. military, and September 5, 1877, when he was bayoneted in the back by a military guard, is the stuff of rumor and legend. And yet, reliable accounts of the last days of Crazy Horse do exist. The interviews collected in this book describe in stark detail the surrender and death of Crazy Horse from the perspective of Indian and mixed-blood contemporaries. Supplemented by military orders, telegrams, and reports, and rounded out with dispatches from numerous newspaper correspondents, these eyewitness accounts compose a unique firsthand view of the events and circumstances surrounding this tragic episode in Lakota History.